Sometimes, however rarely, even in places with the most stubborn boosterism, an official admits – wittingly or unwittingly – the failure of longstanding policy. “This new EOZ program allows for private investments to be made, with significant tax benefits, in lower income communities like ours that need a boost to their economy,” said Larry Kachel, Chair of the Whitewater Community Development Authority (CDA). After a generation of marketing schemes, one now reads what a sensible person would easily grasp from the beginning: that Whitewater is, sadly, a lower-income community, and that it’s private investment – not public spending – that she needs. For decades, since the founding of the Whitewater CDA, this city’s development gurus, municipal managers, local boosters, and fawning reporters have pushed, touted, marketed, praised, schemed, and spent vast public sums for big-ticket public items, each proclaimed as The Next Big Thing. And yet, and yet, for it all, here we are: a lower-income community. That a few have done well for themselves – and made sure everyone else knows as much – is undoubted; community development is not a matter for a few. Hundreds of millions in public expenditures, over the last generation, for bridges, buildings, an Innovation Center, WEDC this, WEDC that, roundabouts, sketchy tech ventures, huge infrastructure projects, etc. – and for it all, still a lower-income community. Growth, prosperity, and inclusion – those are the proper measures of true community development. What is the benefit of community development apart from meaningful and widespread gains in individual and household income? 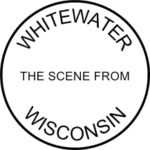 Those many buildings, projects, and proposals have not uplifted individuals, and have not overcome Whitewater’s high levels of child poverty. Whitewater is not, to be sure, the first community to commit to big-ticket public items at the expense of policies to promote individual prosperity.